The Unfortunate Nambour Neighbours of Hugh McVean - Hughie the Bully! included Unfortunate Nambour Neighbours of Hugh McVean - Hughie the Bully! Have your say about the McVeans and the Sunshine Coast Daily story, "Internet NIghtmare for Nambour Pharmacist". 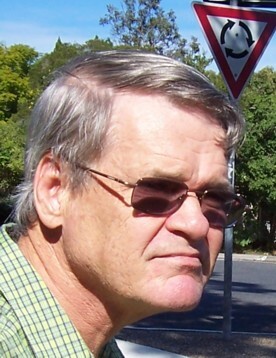 The Unfortunate Nambour Neighbours of Hugh McVean - BEWARE of CLAIMS by Hughie the Bully, LIAR and parasite! plus Adrian Westenborg, of Adrian's Roof Service, being AF & WP Westenborg, Roofing and Ventilation Contractors, at the the property called "Wideview Lot", or Lot 1, Raylee Avenue at the lower end cul de sac of Raylee Avenue, Nambour. Description of PLAN and photos to the right, from the top. #1* Map of Hugh McVean's jungle with the addresses of his neighbours. Hugh McVean's neighbours could expect to have many problems with this evil bully. He thinks he is smart to have a corrupt firm of solicitors. Fore warned is fore armed. #2* Overview from the rear of McVean's property, along Swallow Street, of the approximate five acre Hugh McVean jungle/rainforest at 225 Windsor Road, Nambour QLD 4560, showing just how high the tress are on the property. Clearly, it has never been cleared. #3* Closer shot of the thick jungle over the sign and fence shown at the end of Swallow Street in the photo imediately above. #4* Closer shot of the thick jungle over the fence to the left of the sign shown at the end of Swallow Street in the photos s #2 and #3 immediately above. #5* Closer shot of the thick jungle over the fence to the right of the sign shown at the end of Swallow Street in the photos #2 and #3 above. #6* The Health Hazard of McVean's polluted cesspool of blue green algae, taken over the section of fence shown in the photo #5, immediately above. McVean's neighbours could expect to have many problems with this evil bully, Hugh McVean. He thinks he is smart to have a corrupt firm of solicitors. Unfortunately, for Hugh McVean, they did not advise Hugh McVean nor my sister Coral McVean of the Special Mandatory Fiduciary Duty they BOTH owed, and still owe, to me. Additionally, Hugh McVean has admitted in writing, clearly without realizing what he was doing, that he is fully cognizant of the facts that impose upon them both, that MANDATORY SPECIAL DUTY NOT TO TAKE ADVANTAGE OF ME, nor to make money from me. My sister Coral McVean should be aware that this matter has a long way to run. The corrupt lawyers have collaborated with the corrupt Goss-Rudd-Mellifont Mafia aka Queensland Crime and Misconduct Commission "Goss-Rudd-Mellifont Mafia" = Crime & Misconduct Commission to cause a massive loss to many people. Because of the ignorance of Hugh McVean, the corrupt authorities, police, courts, government, CMC, lawyers will make Hugh McVean the SCAPEGOAT. That will mean that Coral McVean will also be made the scapegoat, and they are likely to lose all their possessions. Jail and bankruptcy looms for them both. Their corrupt Nambour lawyers will want to continue to advise Hugh McVean, and Hugh will want to continue with them, but they will be looking out only for themselves, with the consequence that Hugh McVean and Coral McVean will be the SCAPEGOATS. I am a legal researcher with an LLB plus, so I know they are corrupt, and I have the evidence. These solicitors have committed criminal fraud and are also guilty of Professional Misconduct and Unprofessional Conduct for which they should be struck off the roll of solicitors. All of these listed neighbours plus the people at the end of Raylee Avenue, Nambour, have a common boundary with the criminal Hugh McVean. This means the law with respect to fences comes into play. As well, the law as to private nuisance could be very relevant. I can assure you that if anyone has to deal with Hugh McVean personally, he will try to con that person that he, Hugh McVean is "doing it for your benefit". Both Hugh and Coral McVean are guilty of Insurance Fraud along with Hugh's brother John McVean, who was working for South British Insurance which was taken over by New Zealand Insurance which later became part of the IAG conglomerate. The fraud was of John McVean's employer. All three are therefore guilty of a particularly serious fraud of stealing from one's employer, even though Coral and Hugh McVean did not work for the Insurer. To my knowledge, Coral had never been involved in crime previously, until she was roped into this serious fraud by the Criminal McVean brothers. I have the evidence that they have committed multiple very serious criminal offences since then. Now, Coral McVean DTM [Distinguished Toastmaster] has become Lieutenant Governor Marketing [LGM] of Toastmasters District 69 covering Northern Territory, Queensland and Northern New South Wales plus PNG. As part of her marketing "push" for Toastmasters [TM], Coral McVean DTM is promoting Toastmasters in prisons hoping to recruit more criminals, prisoners and ex-prisoners, to swell the numbers of Toastmasters. Coral McVean DTM believes the attraction to other criminals will be that it may improve their chances of being able to "talk their way out of trouble" like Coral McVean DTM does. So prominent is the Criminal theme in Coral's Toastmaster's agenda, that she successfully lobbied for the 2008 Convention for Toastmasters International to be held at the home of International CON-MAN and criminal Peter Foster, on the Gold Coast. 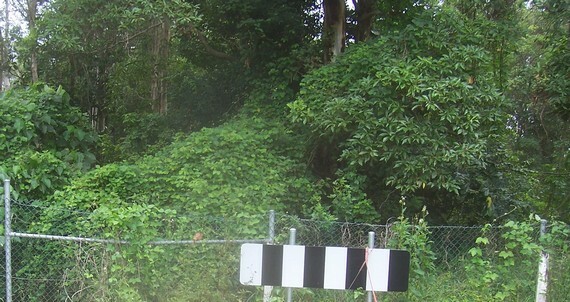 In particular, with respect to the Tort [civil wrong] of Nuisance, there is a gully running approximately at right angles to Swallows Street, Nambour, at the lower end of Swallow Street, Nambour, through McVean's land. It runs parallel to Birdsong Court and behind the properties listed above. At present, that gully has a polluted noxious cesspool saturated with blue green algae. 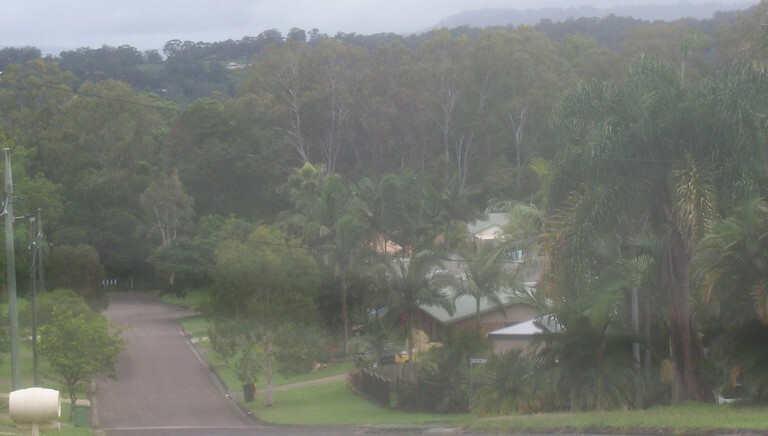 It can be seen from the end of Swallow Street, Nambour. That is a major health problem. It is likely nutrient rich as one or more septic/sewerage outfalls, or due to one or more rotting cadavers. With rain that is likely to flow onto the land at the end of Raylee Avenue, Nambour. Those people could require the McVeans to prove and guarantee that such will not occur, or they could be required by the new Regional Council for the Sunshine Coast, to clean up the McVean pollution when it spills onto their land. McVean could have his corrupt solicitors allege that the pollution is due to another person or persons, unknown or unspecified, and put each of you to the test of proving that the pollution was not yours. In particular, I could imagine McVean's corrupt solicitors, suggesting that the dam at 241 Windsor Road, Nambour QLD 4560 is leaking underground, even if it does not overflow. The neighbouring residents could express their concern to the new Sunshine Coast Regional Council and your new Mayor Bob Abbott. 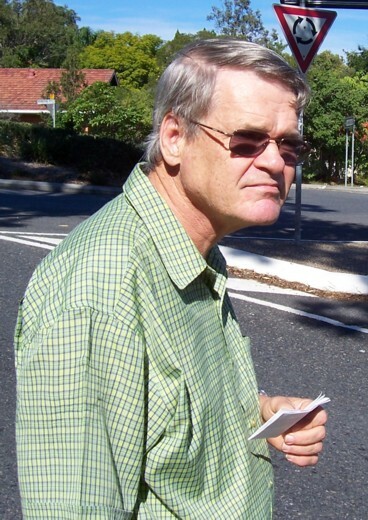 Did Hugh McVean kill Daniel Morcombe? An idea of how Hugh McVean operates, ALL DOCUMENTED. His background, origins and parents. Below is just one episode, when Hughie bullied me, when I was really disabled with severe after-effects of a serious head injury and undianosed other conditions. For further evidence of how Hughie bullies, have a look at the page with DOCUMENTED EVIDENCE giving an idea of how Hugh McVean operates. Hughie has always been a sponge. In mid 1973, when I was in Brisbane and still recovering from my ill health, and he wanted to get away from Coral's parents in Townsville, so he could control her totally, he wanted to inspect a pharmacy and health centre at Noosa and Noosaville, so pressured me into driving him and my sister up to the Sunshine Coast after picking them up at the airport in Brisbane. It was raining heavily that weekend and he wasted so much time that it was dangerous driving back, so we had to stay overnight and I knew people at Coolum so Hugh had me impose on my friends to put us all up over night. Driving back on the Sunday it was extremely stressful with the heavy rain and water over the road in many places. Hugh even sponged on THEM for MEALS too. I had gone out of my way on many occasions to help him once he had married my sister. So he repays me by trying to cheat me and fabricate a "contract", and he has my sister also become a criminal by participating in that forgery and then also, both of them, in having that fabrication entered in court as bone fide evidence. I always thought Hugh was a bit odd. I found one cound never get a straight answer from him, but I thought that was just him. In fact, I now realise it is his just being slimy and sly. It was only after I discovered that he had forged a purported contract with me and put it into court, that I started to think back over previous occurrances. 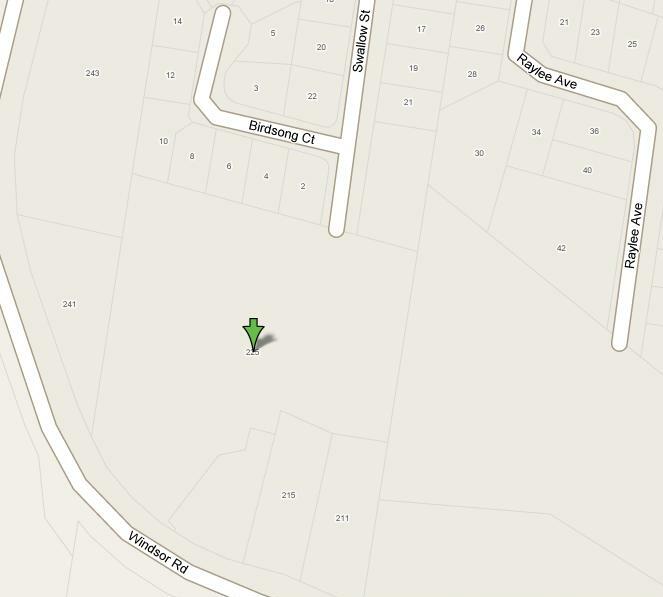 See the Map & recent photo of the SITE of the McVean's Townsville Insurance FRAUD. After they were married, Hugh bought a water ski boat. I was invited to go one day when he Coral and his hotel boozer mates went water ski-ing on the Strand in Townsville. This was after the time of my head injury when I was really "out of it". Everyone was having a turn at ski-ing. I did not know the reason, but every time one of the women was to ski, she would pull on a particular pair of tight pants. It was all going smoothly. When it came my turn, I was told that the method to rise up on the skis was to sit upright in the water with the front tips of my skis just out of the water and my knees under my chin. I did that, but unlike with all the others, the boat did not spring into action, to lift me out of the water, but just moved off slowly. In fact, on each occasion, I was almost out of the water and the boat slowed but did not stop. I was holding on hoping to pick up speed, but it did not and I ended up falling sideways. We tried again, and the same result. On about the sixth try, the boat sprang into action and I was up on the skiis. Do you realise what was happening? I was being given repeated enemaes by Hughie's deliberate actions. OF COURSE, this must be read in conjunction with the knowledge that Hugh McVean, and my sister, his wife Coral McVean, and all the others boozie mates there at that time, [and they knew what had happened to me], owed me a SPECIAL FIDUCIARY DUTY, [as well as the the EVERY DAY AUSTRALIAN NOTION OF A FAIR GO, ESPECIALLY TO THE SICK & DISADVANTAGED - and family too]. I did not realise it at the time. Now, when I think back, I can imagine Hugh thinking it was such a big laugh with his hotel boozie mates. I can imagine them all killing themselves laughing, with comments like, "Oh stop it Hughie, gefaw, gefaw , gefaw, you're terrible to the poor fellow, gefaw, gefaw ad infinitum." They must have thought Hughie was such a joker. It must have been so funny, as I did not realise what was happening; [I did soon after realise that I was very sick and in great pain - I think it did me permanent injury]. They must have been really cracking up as I, innocently and unaware, kept lining up to be given repeated enemas. This epitomises Hughie McVean, the bully. I am sure he will claim he has no idea of what I am saying. He may be a bit concerned as there were many people with him in the boat at that time. They will most certainly remember, and may have recounted it manytimes since. I am sure they will not now wish to be seen as approving it. In fact some were approving it, and I know their names. Others will know they were there too. They may very likely wish to distance themselves from it. There is much CORRUPTION in Australia but the majority of it is concealed. THIS HAS MAJOR CONSEQUENCES FOR AUSTRALIA POLICICALLY ON the WORLD STAGE. Australia attempts to pontificate from the HIGH MORAL GROUND and be the “BULLY OF THE PACIFIC”. America [USA – Bush] is attempting to diminish its INTERNATIONAL crimes by seeming to associate with a densizen of the “high moral ground” [Australia], whereas in fact, AUSTRALIA IS RIFE WITH CORRUPTION. The hidden corruption is spread across layers of government, [elected and “public service”], POLICE, [Queensland and Federal], the judiciary, legal profession, EDUCATION, UNIVERSITIES and business. It occurs in many dimensions. Much of the corruption is for the “cover-up” of incompetence, and other corruption. Some members of my “family” have gained some “inspiration” from some of this corruption, utilising corruption in the legal profession and judiciary.